A shooting in a drainage ditch alongside an Oak Park apartment complex left a 45-year-old man wounded Monday. 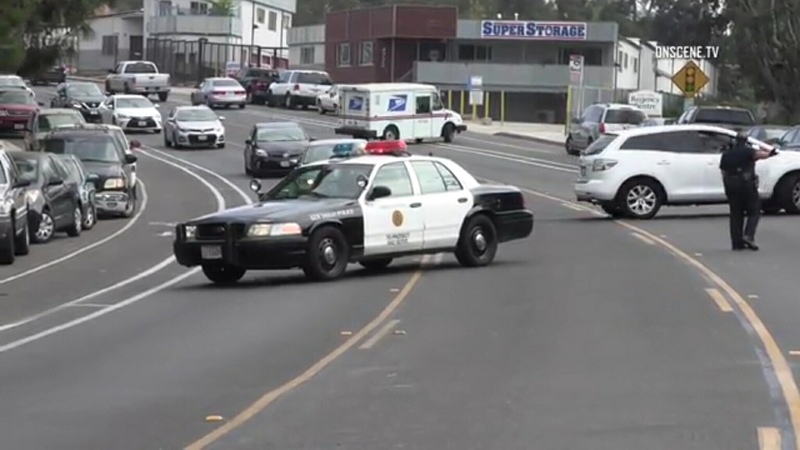 The gunfire in the 2900 block of Euclid Avenue was reported shortly before 9:30 a.m., according to San Diego police. After opening fire on the victim with what was believed to be a shotgun loaded with birdshot, the shooter, described as a 30- to 40-year-old man, handed the weapon to a pair of women in a nearby parking lot before fleeing to the south, Officer Sarah Foster said. His two accomplices, for their part, walked off through the residential complex. Medics took the victim to a hospital for treatment of non-life- threatening wounds to his left arm and groin. He was not cooperative with officers questioning him about the assault, Foster said. Police searched the area for the unidentified assailant without success. He remained at large in the late afternoon.